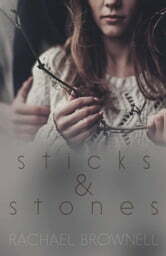 Sticks and stones may break my bones, but my past does not define me. High School—one of the worst times in my life. I was "that" girl, the one everyone made fun of. The outcast. Band geek. Nerd. That's all changed, and so have I. Jane Sharp vanished into thin air years ago; I go by Reese Kennedy now. But Reese isn't the one invited to the Meadow High School Class of 2005 reunion next month. I am. So I need a plan. Step one: Hire a fake fiance. Step two: Attend my reunion and rub my success in their faces. Step three: Resume my normal life. Falling for Hunter Drake is not on my agenda.